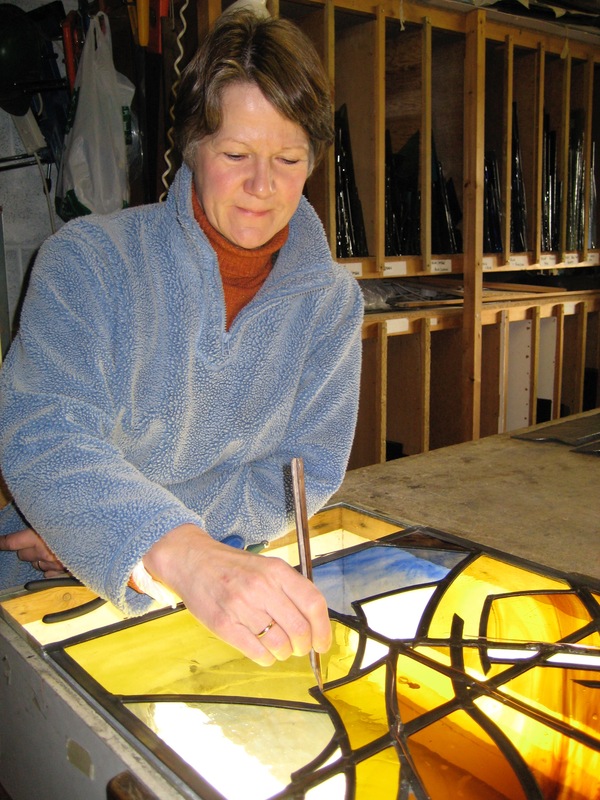 Nicky is an experienced stained glass artist and tutor. She has designed and made windows for public buildings and private houses across the country in a contemporary, organic style. In addition to several years regular teaching at the School of Art & Design, Bristol and Herefordshire College of Art & Design, she has run many lively and intensive short courses. Recent commissions include windows for St Mary’s Church, Newent, Gloucestershire, The Old Parish Hall, Llanelli, St Luke and St Andrew’s Church, Priston, nr Bath and St Mary’s Church, Burghill, Herefordshire.